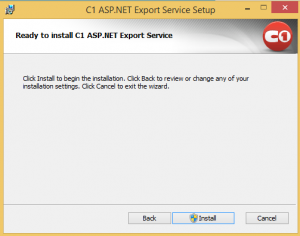 Microsoft Windows 7: IIS 7.0 or higher with ASP.NET 4.0 (.NET framework 4.0). Microsoft Windows 8: IIS 7.0 or higher with ASP.NET 4.5 (.NET framework 4.0). Let's install the service and inspect it's working. 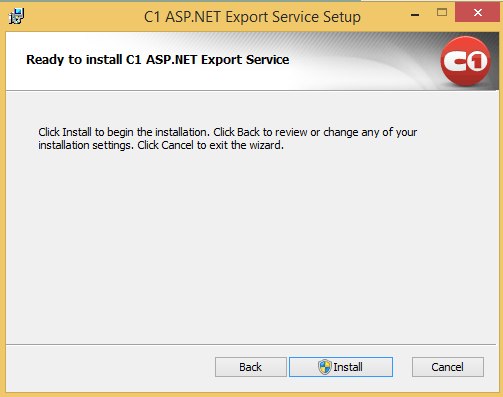 Double click the installer to start installation. You should get the following screen. Click Next. Click Install. 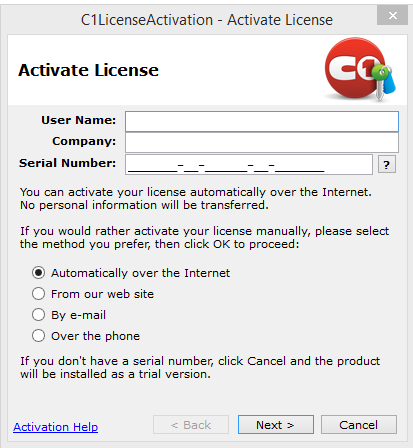 The installer starts the installation, and then you should get the license activation as illustrated below: Enter the information and a serial number and then click next. This should activate the license for the service. 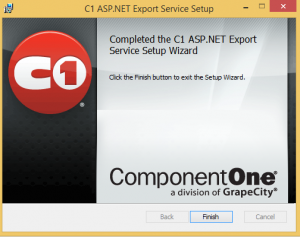 After activation, click finish on the installer screen to complete the installation. The service is installed and a "C1ASPNETExportService" node is create in IIS.